Americans who have watched the Middle East for the past 40 years must wonder how, despite all pressures and sanctions, Iran has not been weakened. Instead, it has expanded its influence within the region and beyond. What they have yet to know is that very influence is also making a footprint in the American public sphere. Take, for instance, the case of Hossein Derakhshan, a die-hard pro-Tehran and anti-America blogger, who, for years, has been a star propagandist for the most radical elements and ideas of the Iranian clerics. One would hope that Derakhshan, perfectly entitled to his toxic views in cyberspace, would be kept out of the United States. Instead, he has been named a joint fellow with the MIT Media Lab and Shorenstein Center on Media, Politics and Public Policy at Harvard University. In response to the outcry from the Iranian-American community against the granting of the fellowship to Derakhshan, Nicco Mele, director of the Shorenstein Center, said in a statement that “the school does not endorse a particular position regarding the Iranian opposition.” With this breezy dismissal, Harvard has swept aside the concerns of Iranian-American citizens, not as grave national concerns worthy of the attention of all Americans, but as lesser concerns, a mere squabble among warring tribes. To brush aside a vast and diverse spectrum of individuals as a monolithic voice of “opposition” shows how Orientalist attitudes are alive and well, at least in Cambridge. If Iranian-Americans have risen to become one of the most successful and highly-educated ethnic groups in the United States, it is, in great part, because of the exercise of tolerance and embrace of multiplicity of views within and outside their community. Our concern about Derakhshan’s presence in the United States is, first and foremost, a manifestation of our American patriotism more than opposition to any person or regime. At a time when Islamic radicalism is a dire threat to our values and way of life, to celebrate an individual who has made a career out of promoting that radicalism is to act against our own interests. Our objection to Derakhshan is not to the fact that he harbors noxious views. Rather, it is to the rewarding of those views. The German filmmaker Leni Riefenstahl had the right to make pro-Nazi films. But Americans can at least take comfort in knowing that, for all her contributions to the cause of evil, she did not also receive a MacArthur “genius” grant. Imagine the message this sends to democracy activists in Iran and around the world. It says that the tyrants who victimize them at home can simply go to America, shed the militant garb, get a close shave, and recycle themselves as respectable scholars. A sudden collapse of Iran’s governing system would be bad for us. The case of Hossein Derakhshan also shows how blanket immigration decisions about a place like Iran can be both ineffective and deeply flawed. While they keep away refugees and immigrants who are persecuted by Tehran, our higher institutions pave the way for the most dangerous elements to walk among us. A radical anti-American gets waved in. On the other hand, Iranian Christians, Baha’is, Jews, gays, and democratic activists are banned from entering. For years, the United States and Europe have solely focused on the threat of a nuclear Iran. In the meantime, Iran has diversified its tactics. The Carnegie Endowment for International Peace recently released a report about Iran’s growing threat to our cyberspace. Last month, Germany searched the homes of 10 Iranian spies in Berlin alone. When thinking about the Islamic Republic’s threat, the smoke of the mushroom cloud is merely one of many dire possibilities. 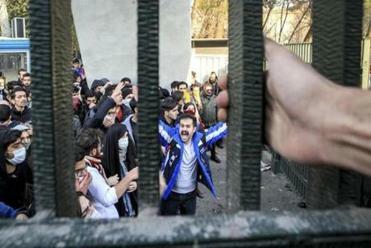 The threat posed by the influence Tehran is exporting, through infiltrating our educational institutions to shape the minds of our youth, deserves equal concern. Roya Hakakian is a scholar-in-residence at the Hadassah-Brandeis Institute and the author of, most recently, “Assassins of the Turquoise Palace.” Follow her on Twitter @RoyaTheWriter. 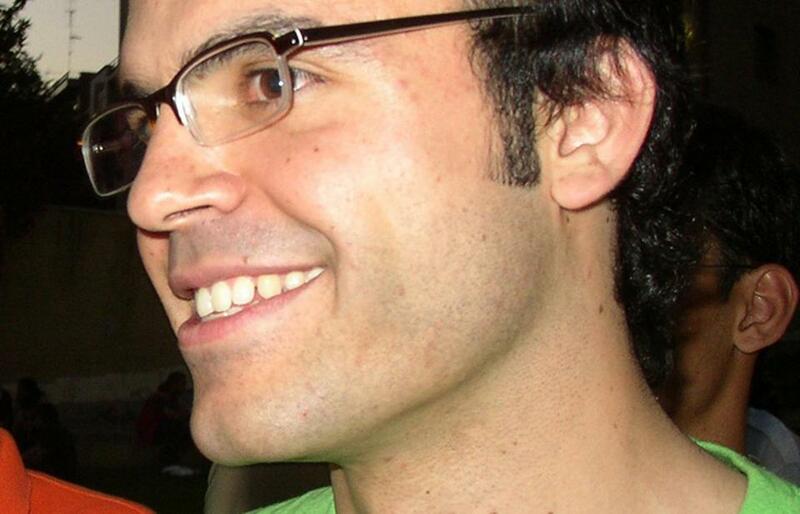 Daniel Jafari, a physician by training, is an Iranian blogger and translator.